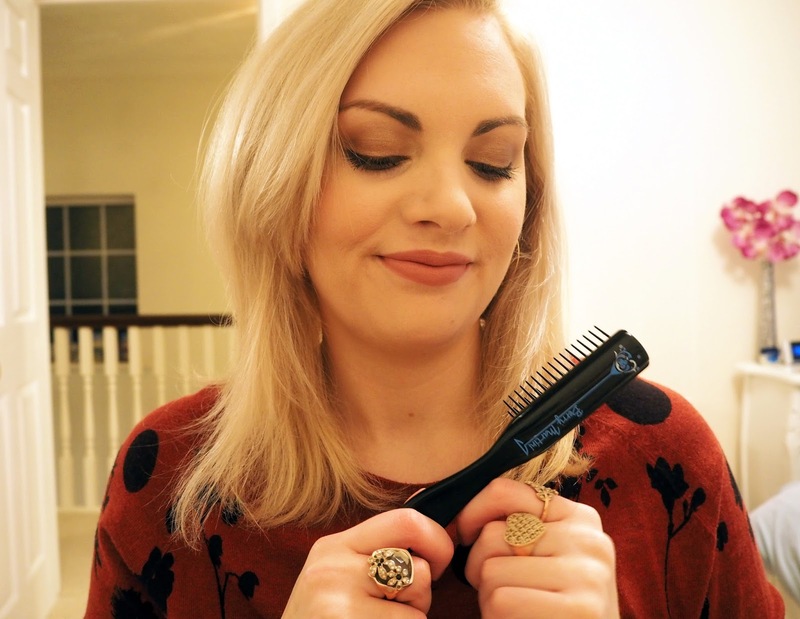 If you're a regular reader you may remember my post about Denman's Boar Bristle hairbrush a few weeks ago. Well in it I also expressed my desire to try one of their fragranced hairbrushes as I was really intrigued. Well excitingly I have now been given the opportunity to trial one out courtesy of Denman*. 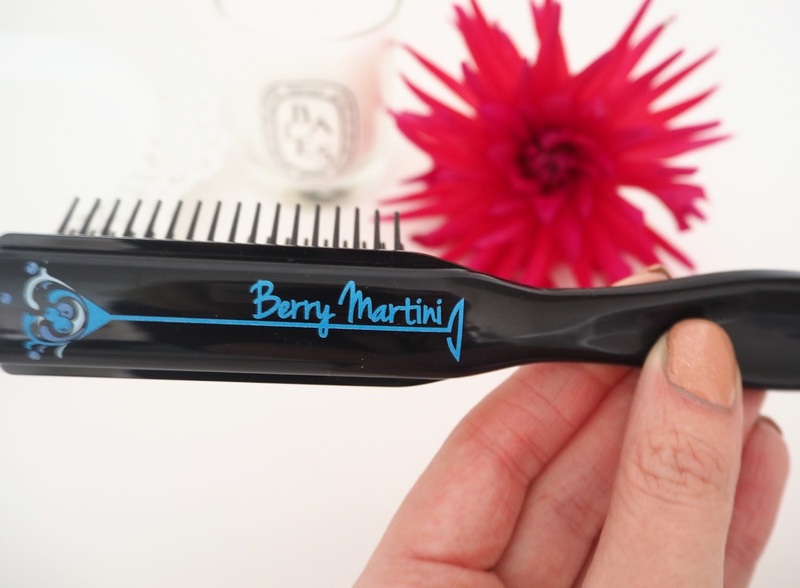 I chose one of their new Cocktail Scented Brushes and out of three possible options: Pina Colada, Strawberry Daiquiri & Berry Martini, I went for the Berry Martini one! 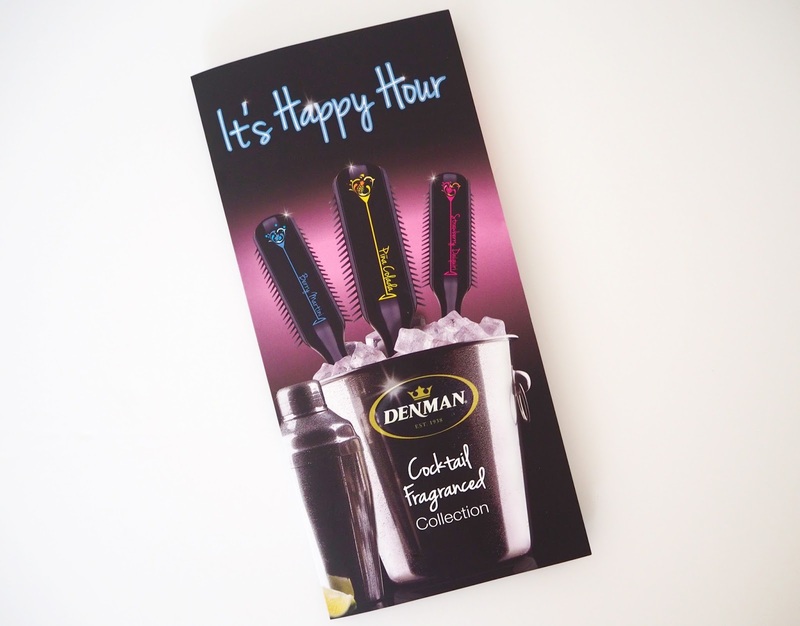 They're more compact than most other Denman brushes which makes them ideal for your handbag or for your travel bag or carry on when you're going away. 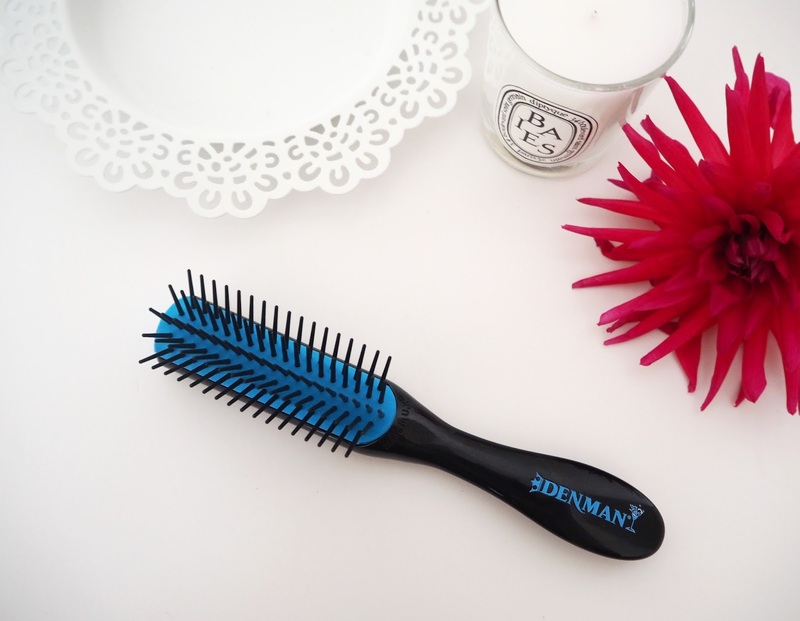 The five row classic styling brush incorporates Denman's famous half-round pad to provide grip and control during blow drying, perfect for smoothing, shaping and polishing the hair. Each classic cocktail scent is very fruity yet completely different and don't worry it won't transfer to your hair it's just for you to enjoy at the time! The fragrance should apparently last in the hairbrush for up to 6 months as well. I think these are really fun and unique. I feared it might smell horribly synthetic when I first took it out of its packaging but actually it's lovely! To me it smells like a mixture of blueberry, raspberry and strawberry sweeties, yummy. I think these would make a perfect Secret Santa presents for any women in your life this Christmas! Perhaps for a work college who you don't know that well but got them in Secret Santa and have literally no idea what they like (we've all had that haven't we?) or just as an extra stocking filler for a friend or family member. 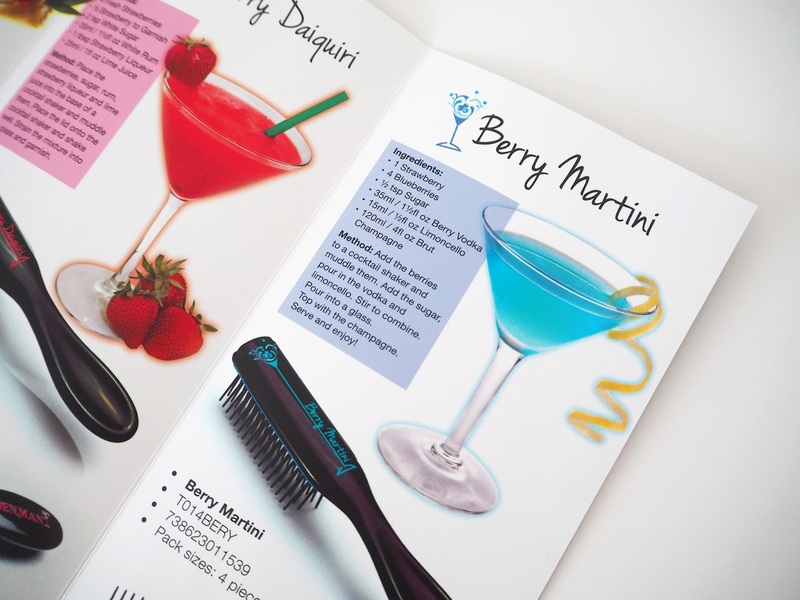 The little leaflet that comes with it even has little recipes for each cocktail! 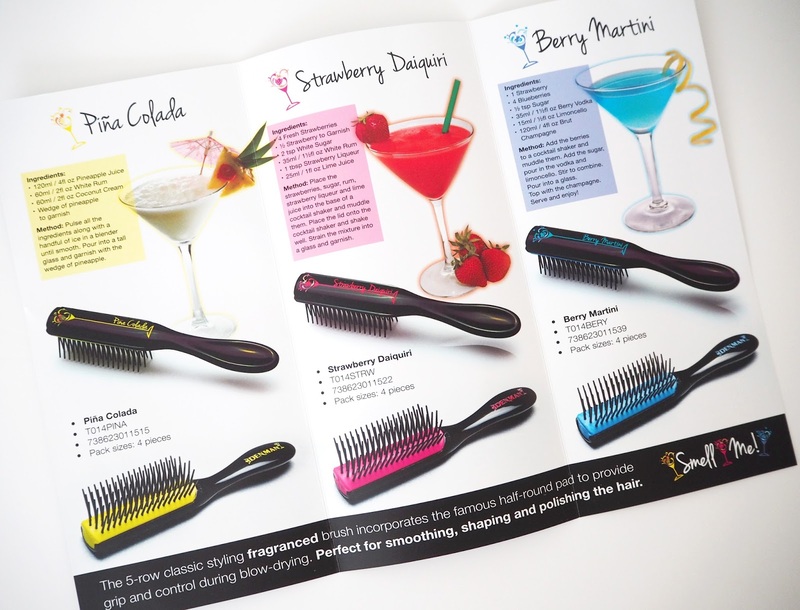 Which of the cocktail fragranced hair brushes do you like the sound of most?